Expats moving to Zurich will take comfort in the great infrastructure and high standards of living. Zurich is the centre of Switzerland's vast economy, where international Swiss banks and the fourth largest stock exchange are located. Given the Swiss' efficiency and knack for punctuality, there is little room for frustration. Located at the north-central of Switzerland, Zurich is the nation’s largest city with a total of 350,000 inhabitants. Its population is considered to be very diverse - 31% consist of non-Swiss citizens, 8% are German nationals, and 3.4% are Italians. The growing number of many expatriates moving to Zurich is no longer a surprise because of its reputation as highly a globalised city despite its relatively small population. Aside from its economic and financial success, Zurich is also famous for its many types of scenery such as the magnificent snow-capped Alps. Swiss-Standard German is the formal language used by the government, educational institutions, news and publications in Zurich while its citizens speak Alemmanic Swiss German which is their mother tongue. 8.8% of its population, especially in the corporate world, are speaking English while the rest speak Italian, French and Spanish. Zurich is the headquarters of several local and international banking giants. It is also known as one of the largest financial centres in the world and the wealthiest cities in Europe. Zurich’s low tax rates and rank as the 25th most favourable corporate and business base makes it a magnet for many foreign investors. 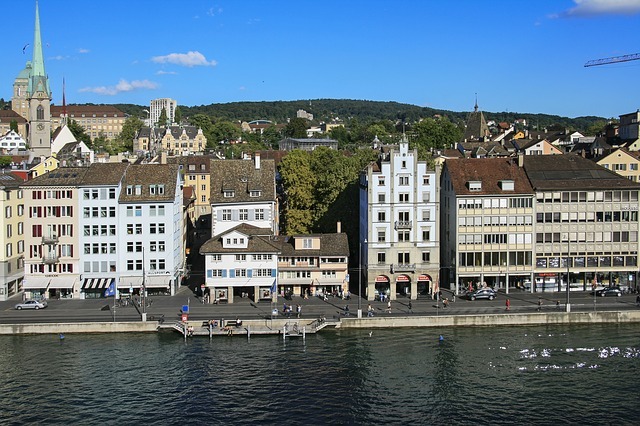 Aside from those, a huge number of leading research and development institutions or laboratories are also concentrated in Zurich, making it undoubtedly the most significant city in the Swiss nation. The city’s rich history dates back 2000 years ago when it was founded by the Romans in 15 BC and was originally named Turicum. Nowadays, Zurich has also gained popularity for its many theatres, galleries and museums that showcase its history and the locals’ undying love for art. Zurich has a warm and temperate climate but experiences rainfall almost throughout the whole year. The city has four seasons: Winter which is from December until February, Spring which starts in April and ends in June, Summer which is between the months of September and October then Fall which occurs in September until December. Winters in Zurich are characterised as grey and gloomy while Spring is considered to be the best time of the year where people enjoy the glowing sunshine and clear skies. Expats moving to this city will notice that the Swiss are cold-blooded which means that they still wear coats and scarves even in the month of April where the weather is warm. Zurich is recognised as one of the top ten most liveable cities in the world and prides itself on offering high quality of life to its inhabitants. The urban area, despite its modernised vibe, is still filled with vast greeneries. A massive 26.5% of the city’s geographical makeup consists of forests while 11% is dedicated to agricultural purposes. Aside from the Alps, the whole metropolitan is conveniently close to the famous Lake Zurich as well as to several hills, mountains, and rivers. 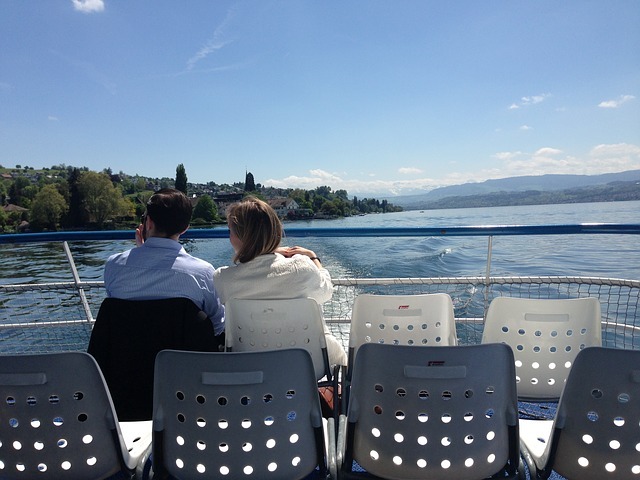 The quality of life in Zurich is considered to be well-maintained and continues to improve. In fact, the city is known to be a world leader when it comes to climate protection and to implementing environmental preservation projects. In 2008, the Swiss voted in the public memorandum to create a law which will strictly monitor and quantify the carbon dioxide emissions in the city. There are also several research and development projects for renewable energy as well as a promotion of the use of a bicycle as an eco-friendly public transport. Zurich, as the largest city in Switzerland, offers a very rewarding professional life with its stable economy and its status as a “Global City”. Starting a new adventure in the Swiss commercial capital is every assignee’s dream. However, one can not just simply sign a job contract, book a flight and arrive in Zurich expecting that everything will go smoothly on its own. Relocating is a very tedious process that requires a lot of preparation regarding the new destination. Here are some guidelines on how an expat can ensure a successful career and life in the thriving City of Gnomes. It is never harmful to start planning ahead when it comes to relocating. Even before arriving an expat can start browsing through online portals and check the expat communities, neighbourhoods, and international schools in Zurich. It is also important to research about the locals’ culture, lifestyle and language. Though English is widely spoken in many offices, it will still be helpful to learn some basic Swiss-German words such as Wie goots Ihne? (How are you? ), Merci Merci vielmal Dangge (Thank You), Was koschtet das? (How much is this?) Entschuldigung Exgüüsi (Excuse me) and Es duet mr leid (sorry) that can be used in everyday interaction with the locals. Moving to a different country is a very stressful transition that requires a lot of preparation. Expats who are planning on relocating to Zurich can consider hiring the professional service of international movers. Aside from their years of expertise in importing various items in all parts of the world, they also take care of the whole moving process from packing, shipping, delivery and unloading of the packages in the expatriate’s new home abroad. Zurich has a landlocked location so all containers bound for this city will arrive first at the Port of Civitavecchia in Italy between 22-29 days, depending on the country of origin. Don’t forget to check on the Swiss import procedures to avoid any issue with customs when shipping items to Zurich. Zurich has become one of the most favourite expat destinations in Switzerland because of its excellent quality of life and dynamic economy. Being consistently ranked as one of the top 10 most liveable cities in the globe, it’s no wonder why Zurich has become popular among many expats. Aside from the possibility of finding your dream job here, you can also be rest assured that you and children will be living in an urbanised cosmopolitan city that boasts zero pollution. With high consumer spending and over a thousand drinkable fountains, you may just find yourself prowling the streets all day. When it comes to sight-seeing, shopping, entertainment and dining options in Zurich, you will definitely be spoilt for choice. Working expats in Zurich can drive using an international driver’s license for up to one year since their initial registration in Switzerland. However, after your 1st year, you have to get a Swiss Driver’s License. It can be quite a difficult process, so make sure you have all the requirements prepared at least a week before your 1st year permit expires. The city’s streets are also very compact that’s why you will need skills and patience to navigate the roads. However, owning a vehicle can also be convenient especially if you have a family who loves to spend time in the countryside or outside the city centre. Finding a good bank in Zurich is easy since local banks are known for delivering excellent services such as deposits, savings and remittance. However, non-Swiss citizens who are about to open an account should prepare a huge amount which usually starts at €4,500. Requirements vary with every bank but the most some of the important documents that you should prepare is your identification papers such as passport and your proof of residency or work status. You also need to appear in person because there will be an interview with one of the bank officers before you can open a Swiss account. Some of the banks in Zurich that you can choose from are UBL Switzerland AG and UBS Switzerland. Banking hours are Monday to Fridays from 8:30 am till 4:30 pm. There are many attractions in Zurich that you and your kids will love going to during weekends. You can start taking your children to the eco-friendly Zurich Zoo where they will see hundreds of different animals living in a habitat that is designed after the Ethiopian Highlands and Madagascan Rain Forest. There is also the famous Kunsthaus Zurich, a fine arts museum that showcases the works of some of the world’s distinguished painters such as Picasso and Edvard Munch. Another popular educational and historical attraction in Zurich is the Swiss National Museum where you will see a display of medieval treasures and weaponry. It will be useful for you to avail the Zurich Tourist Card which gives you free access to museums, unlimited access to public transportation and 50% discount on public tours that are organised by Zurich Tourism.